Ice cream rolls is a sweetened frozen food typically eaten as a snack or dessert. It is usually made from dairy products, such as milk and cream, and often combined with fruits or other ingredients and flavors. It is typically sweetened with sugar or sugar substitutes. Typically, flavorings and colorings are added in addition to stabilizers. The mixture is stirred to incorporate air spaces and cooled below the freezing point of water to prevent detectable ice crystals from forming. The result is a smooth semi-solid foam that is solid at very low temperatures. The demand for ice-cream rolls is always high and will never come to an end. The business itself has enormous growth potential, and if you can serve ice-cream with little creativity remembering different segments of our society, then your business will soon experience a good hike, and you can expect a good return on the investment. As incomes rise and tastes grow more sophisticated, appetites are growing for the frozen sweet treat. Consumers are shifting from traditional sweets to ice creams in routine food habits, festivals, gifting, and celebrations such as weddings and birthday parties. Because of its simplicity, the ice cream business can be your second job. It does not require too much effort and energy, just impeccable service and fresh products. You can still keep your current job and beat your ice cream shop afterward. Or it can be your part-time job on weekends or a seasonal job during summer only. With ice cream rolls business you will have flexible working hours. Since you will be your own boss, you can decide on your working schedule. Also, you will have the freedom to decide on the types of ice creams you’d like to sell, flavors, decorations, the price of each product, etc. We all love to have ice-creams. In fact, it is one universal dessert that nearly everyone likes to have. It is quite easy to make，It can be perfectly produced using our fried ice cream roll machine and there are several variants that can be achieved. This is a profit making business that helps you let out the creativity that you have trapped on your inside as you try your hands on the various ice-cream rolls recipes that exist. 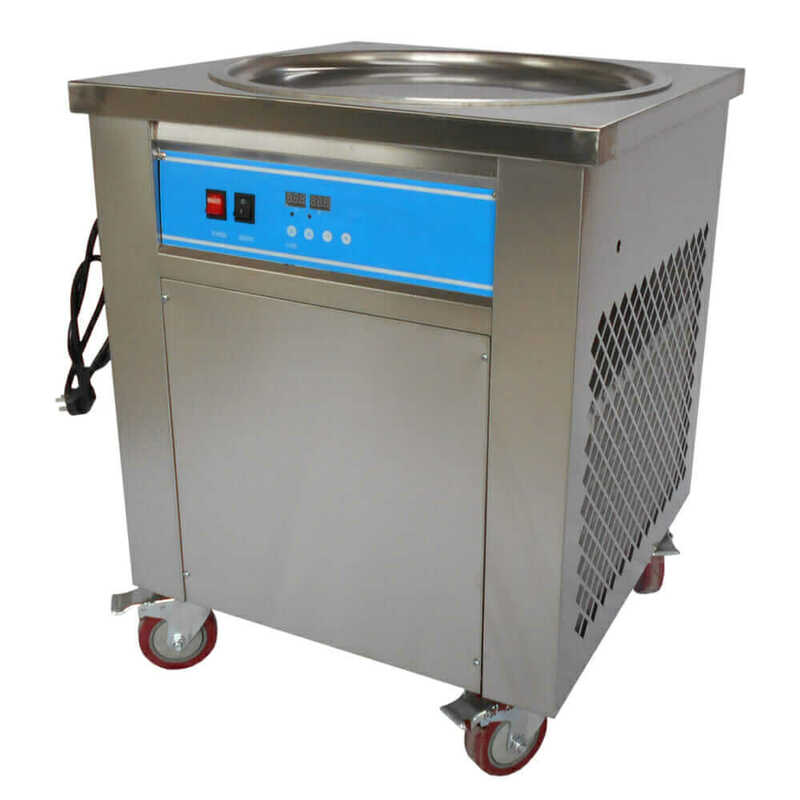 For the last decade; from 2008 to 2018, the ice cream rolls industry has witnessed consistent growth. Notwithstanding that the ice cream rolls business might not be new in the food service and restaurant trade, it is recognized that the ice cream rolls industry is still growing in leaps and in bounds and there is still ample rooms for growth inside the industry.